It’s been a great couple of months in Berlin. I feel like I could live here forever, but I’m not going to act on that yet. After-all, leaving is one of my special talents. But, I made a list of some of my favourite things. So walkable. I’ve taken public transport less than 10 times whilst I’ve been here. Loads to do. If you follow my this week posts you’ll see that I explore somewhere new each week. I was worried at first that it would be too dark, because the history here is very brutal, but actually there is a lot to do and see that doesn’t relate to the horrors of WWII. Abandoned places. So many that there is a blog all about it! I love abandoned places (I visited the abandoned theme park, and the abandoned airport). Great, cheap, food. Most meals are <10EUR, and I’ve come to think of meals over 15EUR as incredibly decadent. Chilled vibe. Berlin feels pretty relaxed, especially compared to say, London. Pedestrians can walk slowly without fear of repercussions. People are nice. Friendly. People in Berlin have been super welcoming to me, and I’ve been lucky to make some great friends. Quality of life is really good. Mostly the combination of all of these, but my overall impression is that people live in Berlin because they value that. Tech workers work hard, but not crazy hours. People will make last minute plans, or meet in the afternoon for coffee. People visit. I’ve had visitors from Canada, NZ, and the UK. The combination of cheap flights from London and the city itself brings people over. Bike lanes. If I actually move to Berlin, the first thing I will do is get a bike – there are bike lanes everywhere which is amazing. (Then, maybe I will get a bowl. And a hedgehog). Architecture. The buildings are beautiful, and wildly varying from one another. In general, I love cities where you can see the sky. Water. I love living near water, and I have been living really close to a river. 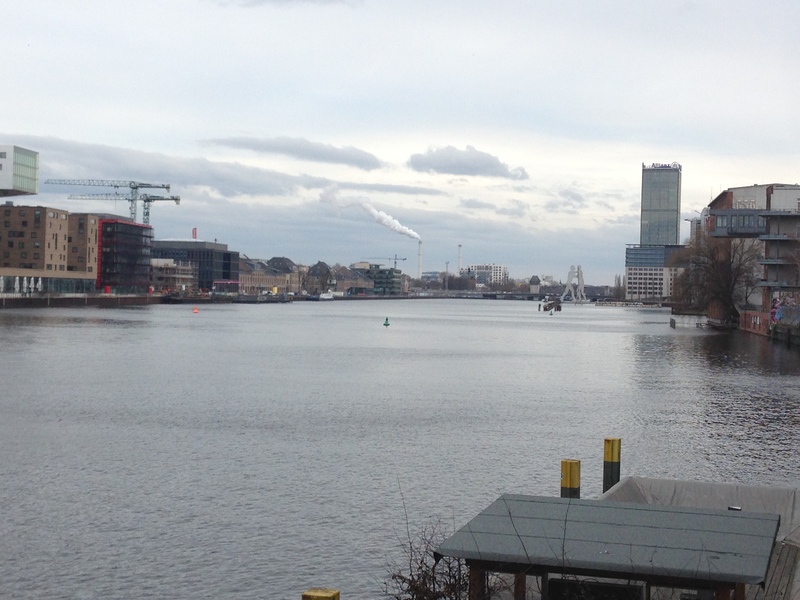 There’s also an island in the centre of town (Museum Island).